Sinclair ZX Spectrum Cass. published 35 years ago by Romik Soft. 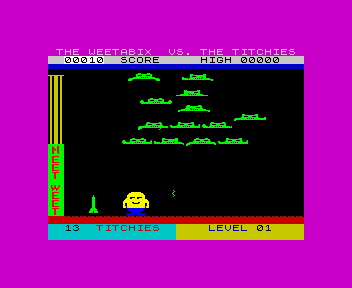 Weetabix Versus the Titchies © 1984 Romik Software, Ltd.